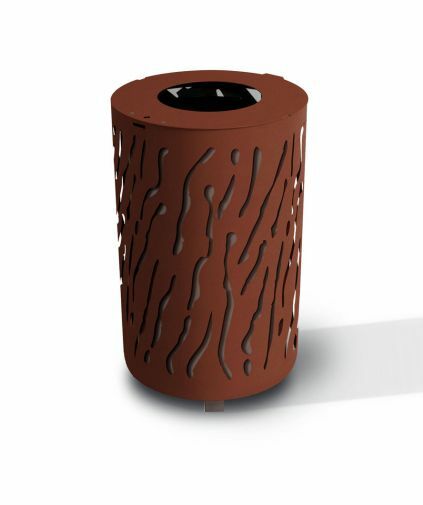 Street Furniture Direct offers a range of Steel Litter Bins to cover all situations, Steel Litter Bins have long been the chosen material due to the strength and cost. 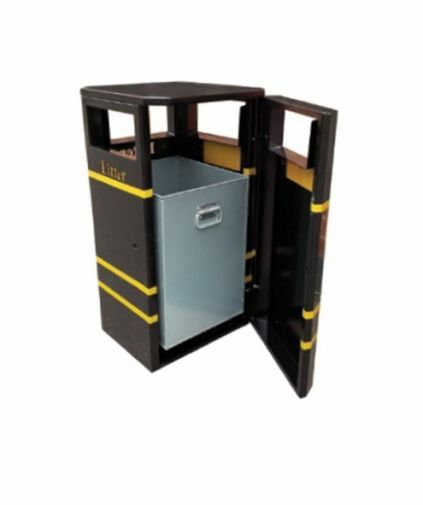 As with all products at Street Furniture Direct these can be onsite within 2 days. 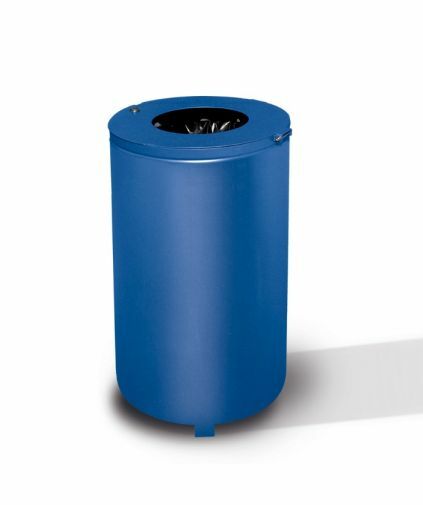 If you are unable to locate a specific type of Steel Litter Bin please get in touch as our website only displays stock items. 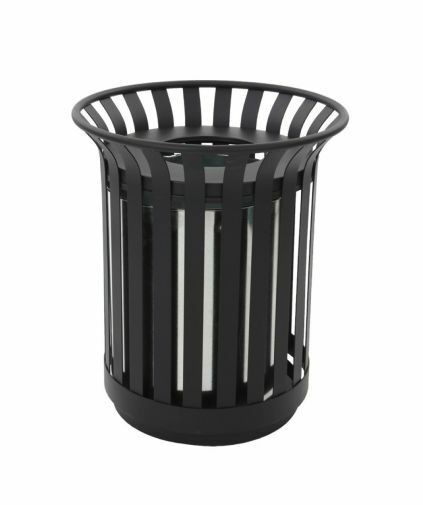 The Outdoor Open Top Steel Bin is perfect for outdoor areas such as parks, playgrounds, yards, schools and pretty much anywhere else. 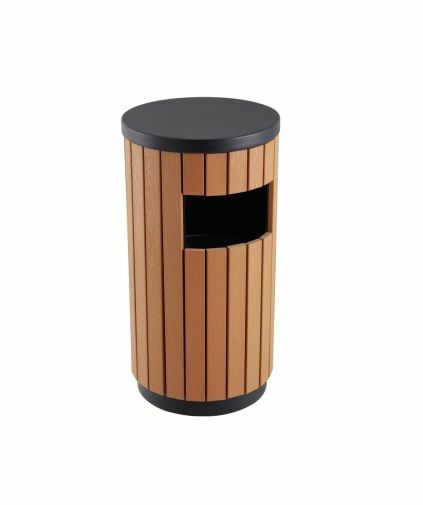 Weather resistant and with a throw in opening it is ideally suited to high footfall areas. 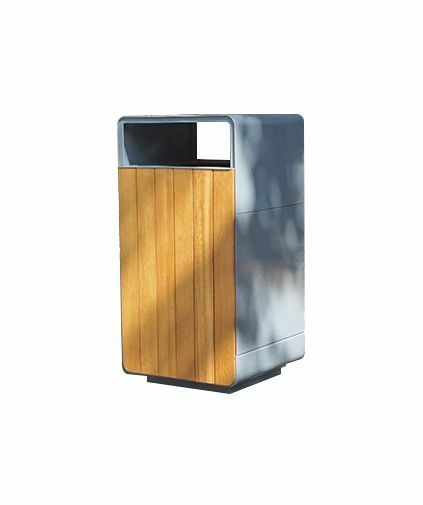 The Hector Square Bin brings fully accessible waste collection from all angles with four good sized openings. Created from a sustainable and weather resistant combination of powder coated steel with wood effect plastic strips. 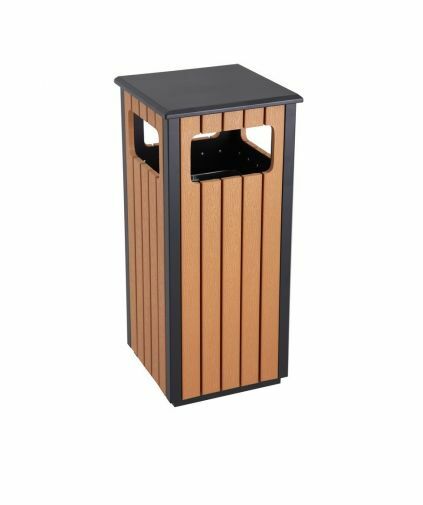 The Open Top Wood Effect Bin is the simplest of designs and slim enough to fit into the tightest of areas providing out of the way and unobtrusive waste collection. 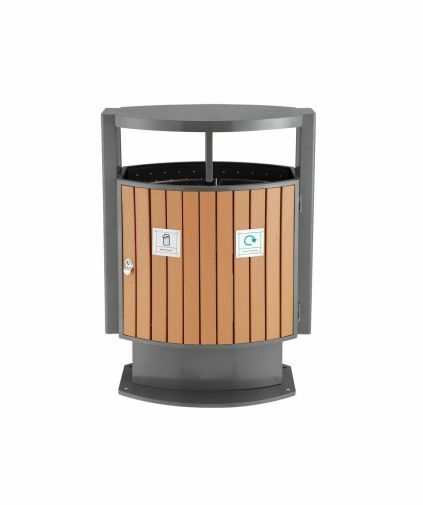 The Ajax bin brings contemporary design to a functional refuse system allowing recycling and general waste to be collected separately in an ever demanding world on recycling targets. 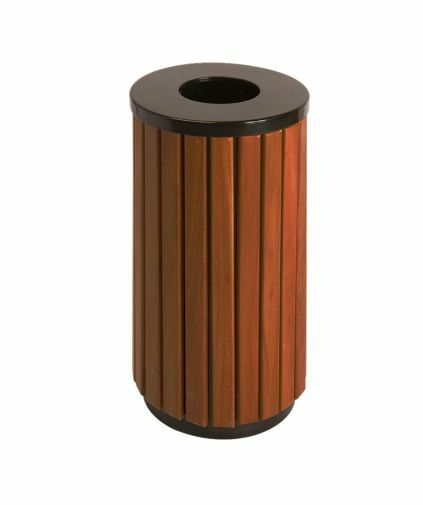 Both secure and easy to empty, two versions of the venice litter bin blend with the core design of the collection. Steel frame with decorative plasma cut body. Hinged steel lid with a triangle key. Painted with zinc primer & finished in our colour options. 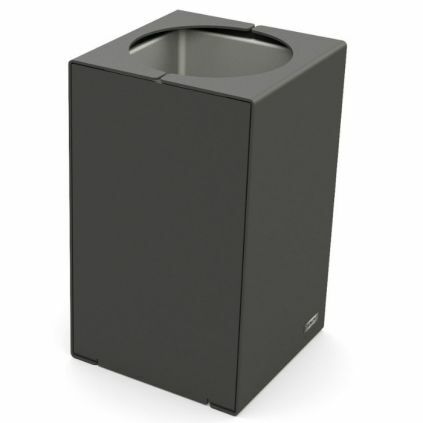 The Olbia Litter Bin is a simple, elegant and modern litter bin with a large capacity.